301, 302, 303 Redirects – SEO is Create an unlimited number of 301, 302 and 303 URL redirects to optimize the SEO of your website. 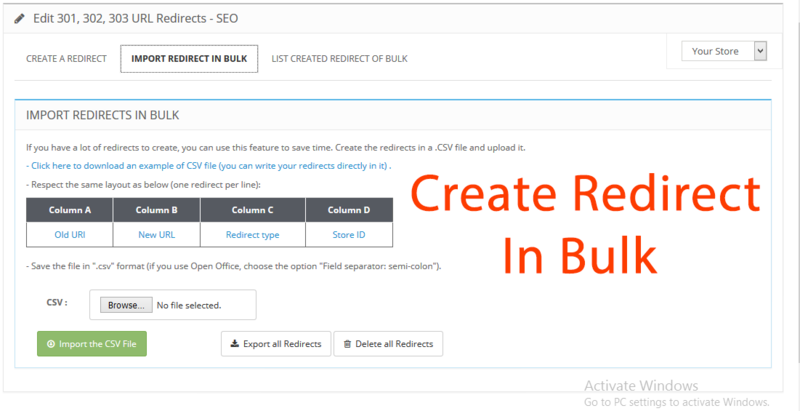 Also includes a CSV importer to create redirects in bulk. 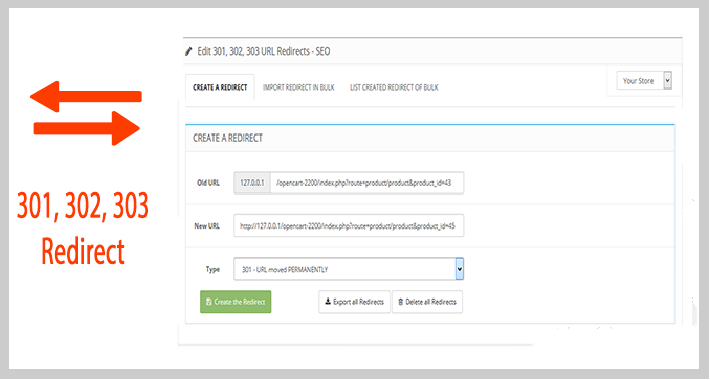 Unlimited number of redirects Create as many redirects as you like with the module and choose between three different types of redirect: - 301 – URL permanently moved to a new location - 302 – URL temporarily moved to a new location. - 303 – GET method used to retrieve information. 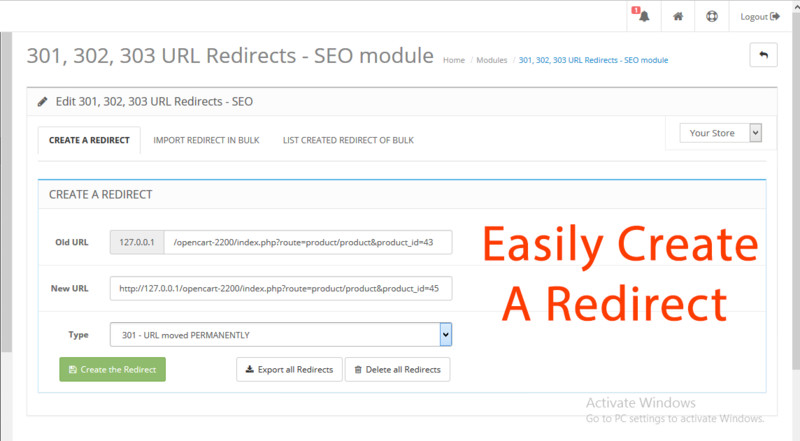 All the redirects created in the module will be listed into a table at the bottom of the module page and could be deleted easily at any time. NOTE : Each link must be fully written (1 url = 1 redirect), it’s not possible to use wildcard patterns (*, ?, etc) to replace character strings. 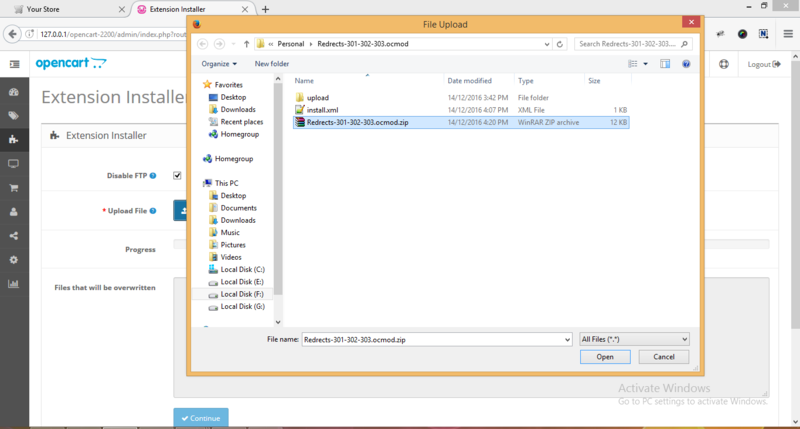 No modification of the .htaccess file Please note that the module does NOT modify and does NOT write into the .htaccess, the redirects are created directly into the code of the page and stored in the database (the module creates its own table).